Does Cyrun showcase a sea of squares or a crisp cross pattern? Either way you see it, the king duvet cover set lends the bedroom bold geometric flair. 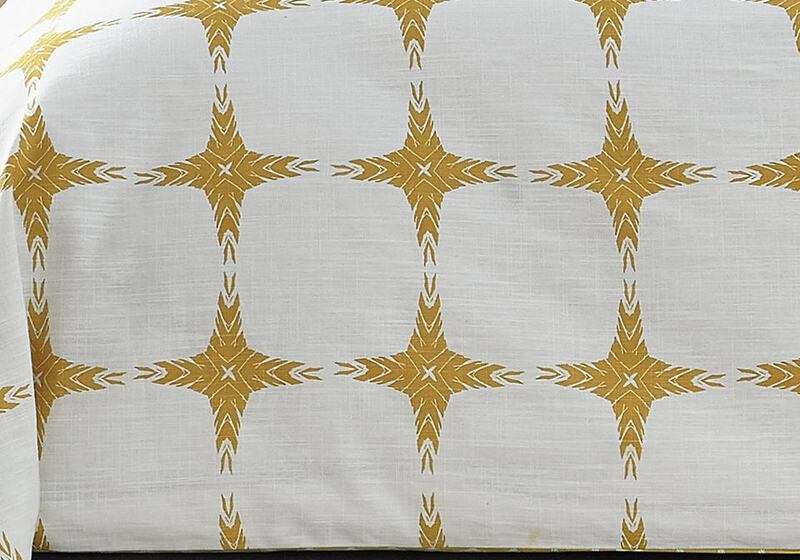 Reversible duvet and shams give the choice of large- or small-scale pattern. Queen – 3 piece TOB ensemble: 1 Duvet: 92in x 96in, 2 Standard Shams: 20in x 26in.